UAlbany alumna Catherine Bertini, '71, has been called "one of the world's most powerful women" by The Times of London. As CEO of the World Food Programme, she assisted hundreds of millions of victims of wars and natural disasters. 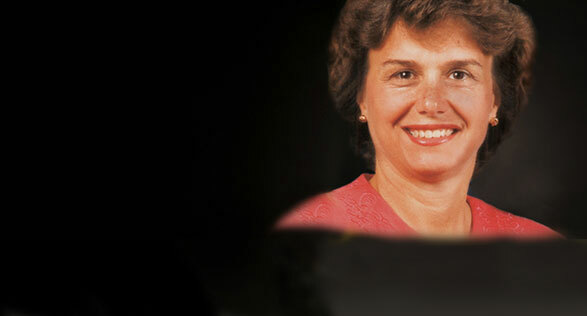 In 2003, Bertini was named the World Food Prize Laureate for her achievements with the World Food Programme, charged with feeding nearly 90 million people each year. She was the first American and first woman to serve as the program's CEO. "I was able to see, firsthand, the devastation and understand the people's needs, not just for food, but for medicine, water, livestock development," said Bertini. As a world-wide leader in humanitarian relief, Bertini is most known as an American public servant, though her early plans included music. Growing up in Cortland, N.Y., Bertini thought about becoming a music teacher before finally settling on a career in government service. At UAlbany, Bertini launched her political career as president of the campus Young Republicans and worked full-time in the last gubernatorial campaign of Nelson A. Rockefeller. Still, she fostered her love of music by playing clarinet in a University wind ensemble -- and even today in her community band. Bertini, who earned a bachelor's degree in political science, credits the University for giving her a strong foundation to embark on a rewarding career. She is currently a professor of public administration at the Maxwell School of Citizenship and Public Affairs at Syracuse University and a senior fellow in agricultural development at the Bill & Melinda Gates Foundation. In Albany, "it was critical for me to be in a place where I could learn about government, both academic and practical experience," said Bertini, who received a distinguished alumnus award from the University in 1987. "I also learned the benefit of having a lot of close friends and how important it was â€¦ to keep up that network because it's important for your personal well-being â€¦ your career aspirations and your day-to-day life. Those connections are lifelong," she said. Bertini will be honored at UAlbany's Third Annual Reaching Higher, Achieving More Luncheon at 12:30 p.m. on Oct. 24 in the Campus Center Ballroom. 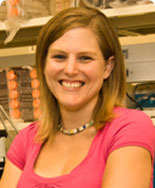 Meggan Keith has witnessed the consequences of cancer many times in her own family.